In this Sandisk Ultra 1TB SSD Review you can find features, pros & cons and interesting facts. Are you interested to know more about the SanDisk Ultra 1TB SSD? Do you want to know how a SanDisk Ultra SSD can boost the performance of a PC while enabling you to enjoy fast gaming graphics? If yes, then you are in the right place. In the following SanDisk Ultra 1TB SSD Review, you will get all the required information about this drive. You will know what exactly it is, features, uses, and positive and negative sides. All this information will help to make a smart decision and invest in the right direction. What is the SanDisk Ultra 1TB SSD? This is a new client SSD and the innovation of SanDisk. As it is a SanDisk product, you can expect both quality and improved performance. The main application of the SanDisk Ultra is general upgrades from the HDD-based system to solid technology to offer faster boot-up times as well as to ensure speedier overall PC performance. The key benefit is affordability. You can expect a lot of features without hurting your budget. 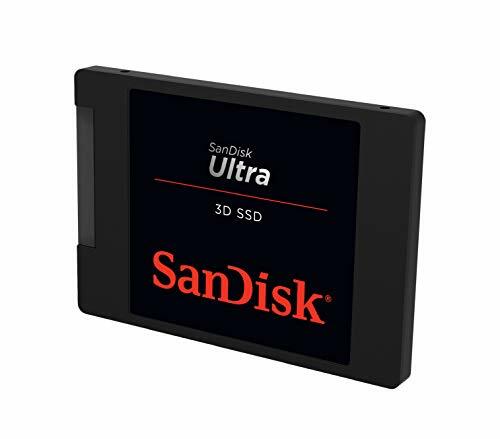 The SanDisk Ultra is powered by the 3D NAND technology and delivers blazing sequential read that speeds up to of 560MB/s and the sequential write that speeds up to of 530MB/s for the no-wait boot-up. In addition, it delivers enhanced reliability and durability, quicker data transfer, and shorter application loading time. Also, it offers cooler quieter computing and shock and vibration proved resistance to provide the best protection to your drive. The product is highly durable and rigorously tested to offer excellent performance and a lasting result. SanDisk Ultra 3D is compatible with arrays and servers, able to accept 2.5” 7mm SATA drives. In addition, this drive is managed through the company’s dashboard and that offers real-time visibility on how it is performing and cloning software, alerts for firmware updates, and tools for the disk analysis. The SanDisk Ultra 3D NAND 1TB Internal SSD includes a number of improved features to ensure quick data transfer and to improve the overall experience. Followings are the details of the key features of this drive. The SanDisk Ultra SSD will accelerate a PC for blazing-fast graphics and gaming as well as for faster boot-up. When you will upgrade to the SanDisk Ultra, you will have a better experience while using your PC. The applications will load much faster and that will save you time. The files will also move very quickly. The added benefit is the longer battery life. You will love quieter and cooler computing and will prefer to spend more time on your PC. This ultra-fast drive offers sequential write speed up to of 530MB/s and sequential read speed up to of 560MB/s. It has one terabyte that is similar to 1.000.000.000.000 bytes. But the actual user storage is less. Based on the internal testing, the performance of this drive might vary depending on a lot of factors such as OS application, host device, and drive capacity. From the name itself, it is clear that SanDisk Ultra SSD uses NAND technology. This technology offers greater endurance to enable your drive to last for a long while using less power. nCache 2.0 technology helps to deliver blazing- fast speeds. The performance can be optimized by writing everything into the high-speed buffer of your drive before transferring them into the flash array. This innovative addition will ensure faster burst speeds. This SanDisk Ultra Solid State Drive comes with five years limited manufacturer warranty or 400TBW (terabyte written), the one which comes first. The SanDisk Ultra SSD series has received mixed reviews from users. When some find it extremely useful, others want improvement in certain areas. Many users recommend this product for its price, durability, quiet and smooth functioning, and fast loading. This SanDisk Ultra SSD is a TLC-based reasonably priced drive that offers excellent overall performance. If you want to upgrade your old system with an affordable option, you should think of investing in SanDisk Ultra 3D NAND 1TB Internal SSD.